Summer sale on All Porter Music Boxes! We are having a sale on some of our over stock disc’s, some for as low as $25 each to get the list please email us and we will send the list to you. 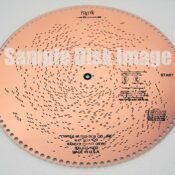 We are also having a spring sale on our disc’s, all disc’s are now $65 each and disc sleeves are only $4.50. You will need to call to get the sale price.